In the 1940s film stars were seen as glamorous people who had little to do with "real life." (The perception is probably still true!) For some performers that may have been true. Earning hundreds of thousands of dollars ,which are the equivalent of millions today, allowed them to purchase gated homes with servants and staff who handled every detail of their lives. Others saw their careers as a job that gave them the opportunity to raise a family in comfort-important because of the recent Great Depression. 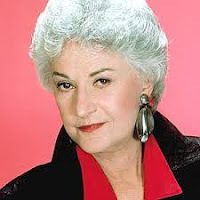 Bea Arthur: Born Bernice Frankel, Bea enlisted in the Marine Corps in 1943. As with most women in the Corps the majority of her duties were administrative and clerical in nature. She eventually was reassigned as a truck driver before being honorably discharged in September 1945. 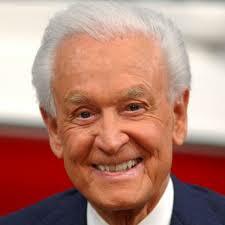 Bob Barker: This famous game show host is 1/8 Sioux and grew up on the Rosebud Indian Reservation in South Dakota. War started after he entered college, so Bob put his education on hold and enlisted in the US Navy where he became a fighter pilot. 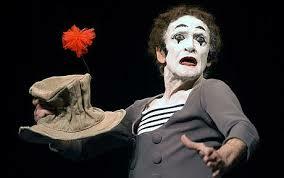 Marcel Marceau: French actor and mime, Marcel Marceaux was sixteen when war came to his country, but that didn't stop him from serving. Marcel joined the French Resistance to do his part against the Axis countries. As a member of the Resistance, he forged documents and identity cards before posing as a Boy Scout leader and smuggling Jewish children out of France. When he was old enough for combat he joined the Free French Forces. 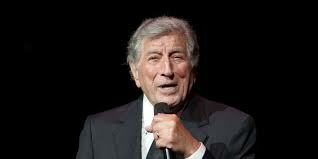 Tony Bennett: Drafted into the Army in 1944, Tony was part of the unit (63rd Infantry) that "cleaned up" after the Battle of the Bulge before moving into Germany to ferret out enemy troops in bombed-out towns. He also took part in the liberation of the concentration camp in Landsberg, Germany. 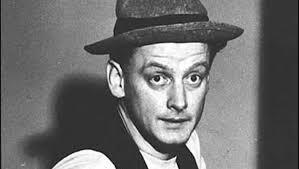 Art Carney: Comedic actor Art Carney is well-known for his part in The Honeymooners, but long before that he was drafted into the infantry during WWII where he became part of a machine gun crew. A member of the replacement troops after the Normandy invasion, Carney was injured by mortar shrapnel. The wound left him with a life-long limp. and receive a free book! Share book reviews and ratings with Linda, and even join a book club on Goodreads.